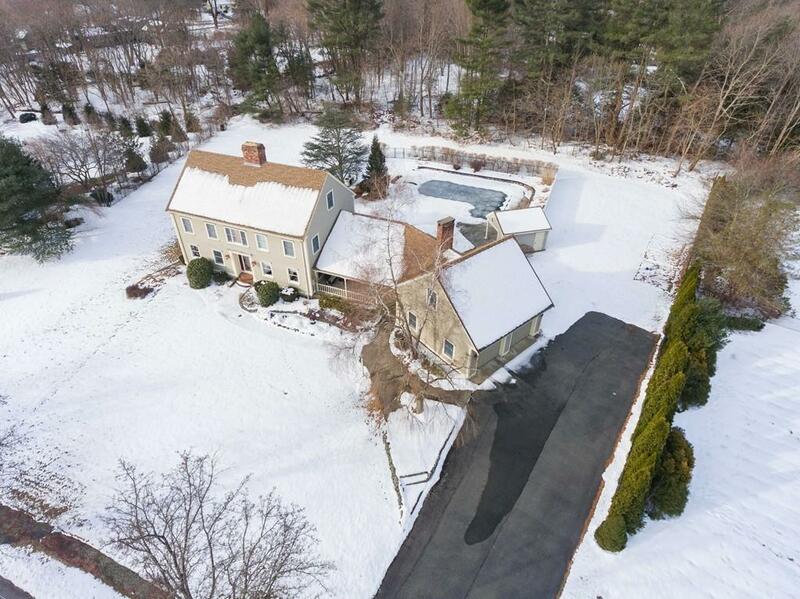 This head turning 4-bed Colonial was built for entertaining! 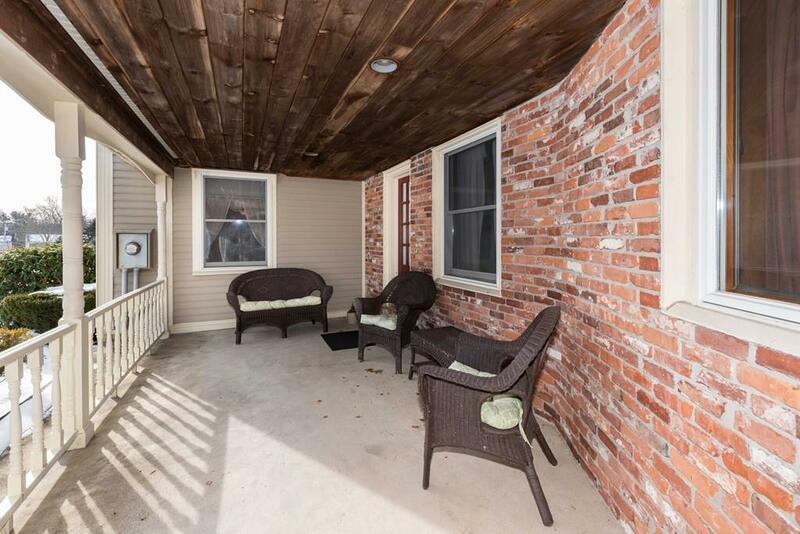 Welcome your guests w/the brick porch perfect for seasonal dcor. Entry way leads into the fireplaced LR w/lrg bay window boasting plenty of natural light. Lrg eat-in Kitchen has center island, granite countertops, & recessed lighting w/large window overlooking the backyard. FR is a great place for entertaining friends & family w/the cathedral ceiling, brick accent wall w/ built-in shelving, fireplace, & skylights! 1st flr laundry room. 2nd flr boasts 4 ample sized beds & full bath. 3rd flr has a quiet home office & bonus room. Finished basement features exercise rm, playroom & wood stove! 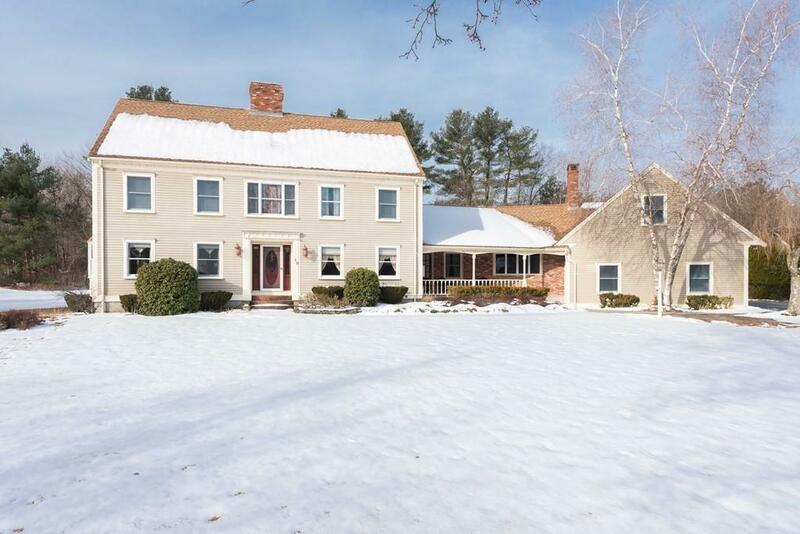 Hardwood flrs throughout, French doors, central vac, walk up attic. 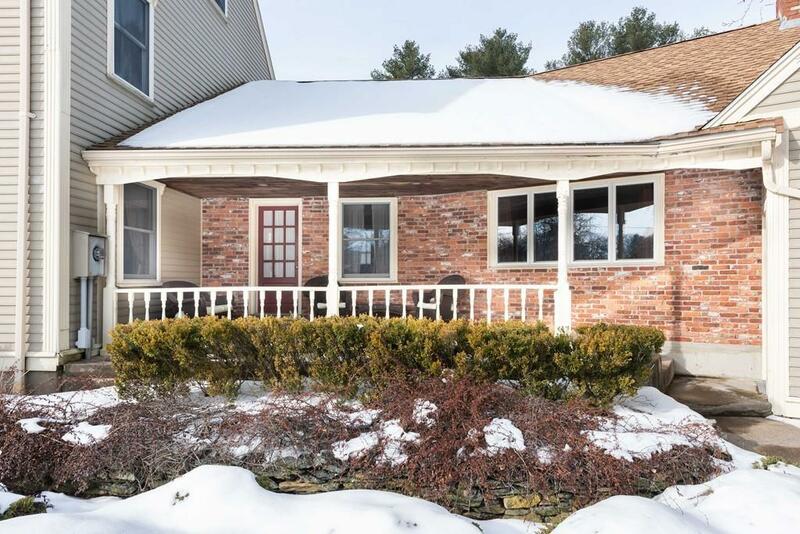 Settled on just over an acre youll spend all Summer long in your backyard oasis w/ inground HEATED pool, cabana, deck, & fenced yard! Just minutes to restaurants, library, schools, & more! Listing courtesy of Gayle Cipitelli of Keller Williams Realty. Listing provided courtesy of Gayle Cipitelli of Keller Williams Realty.